Hello! I'm Spectral Tangent and this is my first god guide. Smite is my first and only MOBA, and I've only been playing since late last year. However, I have come to really enjoy playing and I'd like to try and help other people out with what knowledge I have. I find myself mostly playing Arena games, so naturally this is an Arena guide. I would appreciate any feedback you have, and if you don't like/don't agree with anything, let me know! I plan to update regularly as things change and I will work to take other people's ideas and thoughts into consideration. So let's get started! Geb, the god of earth, is a guardian. He has some very useful abilities and also the potential to deal some reasonable damage, for a guardian. He is best played as the team's primary tank. 04/11/2016 - Slight formatting change to gameplay chapter to make it more readable. Geb takes less damage from criticals. This is a passive you don't really need to think about. Geb only takes 25% additional damage from criticals, instead of the full 100% (criticals deal 125% damage, not 200%). Very helpful for surviving against hunters and assassins who build crits late game. Geb turns into a rolling boulder, gaining movement speed for three seconds and then gaining CC immunity. The ability stops on the first enemy hit, applying a slow and knocking them back if after the first three seconds. NOTE: the knockback is in the direction you are traveling. Be careful not to knock them away from your team if you are chasing. 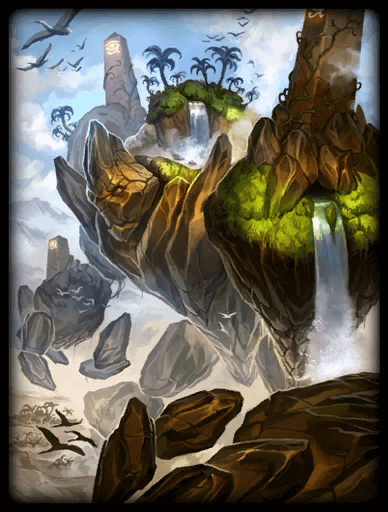 This is Geb's escape, initiate, and secondary source of damage and CC. Using it as an escape, it does take some time to get into the CC immunity, but it is marvelous for outrunning pursuers if you survive that long. Just be careful not to run into anyone, or the ability will end and you'll be left in a nasty situation. Using it to initiate, it allows you to travel quickly into the midst of the enemy and disrupt their formation. Geb deals damage and applies knockup to enemies in a wide cone in front of him. Enemies at the edge of the range take 50% damage, scaling from 100% next to Geb. This is Geb's primary form of CC and damage. While its CC may not last a long time like Ymir's Frost Breath or Athena's Confound, it serves to take off enough pressure to escape or slow the enemy down just enough to finish a kill. Plus, it deals some pretty decent damage, particularly when you are closer to the enemy. Geb applies a health shield to either himself or an allied god which cleanses CC when applied. This is Geb's primary support ability. It is amazing for helping a teammate out of a deadly trap or just to allow them to live long enough to escape safely. When used properly, it is a fantastic ability and will annoy the living hell out of the enemy. HOWEVER, it is only a CC cleanse, so to work the CC must be applied first. It also cannot stop continuous CC (eg. Pillar of Agony) or incoming CC (eg. No Escape). Geb deals a % of enemy gods' current health in a radius around him and applies a (rather brief) stun. This is Geb's primary initiation for a team fight. You need your team to follow you in closely since its stun is very short. To help lock the enemy down longer, pop a Shock Wave. While it should mostly be used to start a fight, it is also effective for securing an escape from a difficult position. Keep in mind that it also provides CC immunity for a brief period, so it can be used to protect yourself from something like a pesky No Escape as well. These are my typical boots, and almost always my first buy outright. The boost to mana lets you use more abilities early, and you start building CDR along with getting some power and standard mobility. If you think you'll be having a rough game and will be having to deal with lots of CC or just prefer to be a heavier tank, pick these up. This should always be in the build unless the enemy team is almost entirely magical. I almost exclusively build it second because the CDR is invaluable to Geb, allowing him to use his abilities very often. It also comes with some solid physical protections and a decent chunk of mana. After picking up some shoes and Breastplate of Valor, the next few items become a little more situational. Consider the enemy team's composition and determine if it is necessary to get a large amount of magical protection now or if you can pick up Hide of the Urchin and start building its stacks now. Play around with the order in different situations to see what you prefer, but I like to get Hide of the Urchin third in most situations. This is the typical all-around protection item that you will see in almost all tank or bruiser builds. It starts with decent mixed protections and a good amount of health and mana. As you get involved with kills, it gets eben more powerful and will help keep you alive against all enemies. Even after the nerf, this is my go-to magical protection item, at least in Arena. It provides great magical protection, some more health, 20% CC reduction (note that this will overcap you CC reduction if you picked up Reinforced Shoes) and a brilliant passive which provides you temporary health when your health drops too low. This will help you escaped rough situations and can combine with Stone Shield to provide a serious temporary health boost under pressure. While Sovereignty and its magical counterpart Heartward Amulet are typically great support items, I consider them to be mostly unnecessary in arena. Their hp5 and mp5 auras are not necessary as the fountain is always close by. The protection boost from the auras is nice, but the passives on other forms of defense are simply much stronger for arena. That said, they are great secondary protection items when facing unbalanced teams, as their protection aura becomes increasingly worthwhile. This is a great item to work on countering healing enemies, whether that be group healing like Hel or Ra or self-healing like Sol or Chaac. It comes with the highest magical protection on a single item and some nice health as well. Still, unless you find yourself against some very strong healers, Bulwark of Hope is the way to go for its powerful passive. The magical counterpart to Sovereignty, see my comments on it above. This is a very powerful but very expensive mixed defense item. When you take too much damage, its passive stuns all gods in a radius around you and makes you cc immune for a short duration. It also provides 15% CDR, which will overcap you if you got Shoes of Focus and Breastplate of Valor, which will lose you some efficiency. Mantle of Discord is certainly a powerful buy, but you need to gauge how well you are doing, as picking it up will often leave you without a full build by the end of the game if you are not raking in the cash. Spirit Robe is a very well-rounded item that really helps to complete the build. It provides more mixed defense but also maxes both CDR and CCR if you have been building with my typical build. It also provides damage mitigation after being hit by hard CC. This will put a very nice finishing touch on the stats you have been building the rest of the game. Ethereal Staff is a great item for tanks. It provides a huge amount of health, significant mana, and a great boost to power, as you will have a considerable amount of health to build its passive. This well help you survive longer in the fight and do some more damage as well. I do not believe that Gem of Isolation is best utilized on Geb as it should be left more to gods with DOT abilities, it is a reasonable option. After hitting an enemy with an ability, they will move slower. This will be making the most difference to Shockwave, but with some maneuvering, Roll Out can be used with the passive to keep an enemy locked in a poor position for a little longer. Gem of Isolation also provides a nice bit of health and mana and a good chunk of power. Winged Blade is another very well-rounded item which provides a good amount of utility. A sizeable increase in health comes paired with maxing CCR and increasing movement speed. The attack speed boost is effectively lost on Geb, but its passive can be great against teams with lots of slows, allowing you to actually move faster when they try to slow you down. This is a great item to pick up if you find yourself getting slowed down way too much. While I often prefer to be primarily support, sometimes doing more damage can be necessary. If you find that the rest of your team isnt picking up the kills you are setting up for them, you may need to build some personal damage into your game. Geb is indeed capable of putting out some damage, so these items are not wasted on him. If you are trying to do more damage, a great place to start is penetration. This is the best option for penetration on Geb, ignoring 1/3 of enemies' magical protections. This will allow your abilities to pack more of a punch. Soul Reaver is a very powerful item, providing a large amount of power and a nice bit of mana along with a powerful passive which will take a large chunk of an enemy god's health when you hit them with an ability. However, this passive is not very reliable as a source of damage, as it is only active every 60 seconds. Still, this can help put the finishing blow on an enemy. While this might be a sign that I am a bit too aggressive with my tank, I often find it useful to pick up Sanctuary as my first relic. Geb's early game is really very weak, and this can sometimes be necessary to ensure you make it out alive. Sprint is a nice relic for retreating from a poor situation, as it will make you and all your allies within radius much harder to chase and grant you immunity to slows. A good safety for when a teamfight starts to turn out poorly. Blink tends to be a good option for gods with some hard CC that is used to initiate a team fight. This is a viable relic on Geb, but I typically find it is not entirely necessary. This is a great tool to set up a Cataclysm initiate, but i often simply use Rollout to quickly enter range for my initiations. A very good relic to deal with a team that has some very hard CC that you expect to be an issue, such as No Escape or Confound. However, since Geb's ult is CC immune, he is able to typically counter these issues well without Purification. Sometimes it even works to let yourself get CCed and brought into the enemy's midst so you can then counter-initiate with Cataclysm or even Shockwave. Still, there may be instances where Purification is useful, but it should not be a typical pick. This is a solid relic which provides a significant protections buff to you and allies in range for a short period. It can be used to help turn the tide of a teamfight or popped before going in to make an initiation safer. Not my typical choice, but worth a look. A great relic against teams with lots of healing/self-healing and to add to your CC abilities by slowing and lessening the healing of all enemies within radius. Useful to work along with an initiation to give your team a better shot at keeping the enemy pinned down and keep them from surviving and encounter. Start the game out with all three of your skills, pick out a relic depending on how you expect the game to go, buy some boots, and head over to the camps to help your team pick up some buffs. You can use Roll Out from the fountain to get over to the camps faster if you want, maybe throw around a few VVGHs and the like, see how well your team is likely to communicate. When taking the camps at the beginning of the game, try to aggro them on yourself and use a Stone Shield against the damage camp so you don't take too much damage. You shouldn't be picking up a buff unless no one else on you team goes for mana (but you should have a mage who will). When going out to the center lane, be careful! You are still pretty squishy and can get burst down quickly if you're not paying attention to where you position yourself. Your cooldowns are long at this point, so keep that in mind. You should be helping to clear waves and do a little poke if possible with Shock Wave. Do your best not to get poked too much yourself, and save Stone Shield for bad situations, prioritizing your teammates. Try to stay around long enough to get a good start on buying Breastplate of Valor by your first back. But remember that you are not that tanky yet! Don't start diving into the middle of the enemy team; you will not survive. Stay in the front, and use your abilities efficiently. By this point, you will have built up a sizeable base of mana, your cooldowns will be much shorter, and you will have a lot more defense. You are now much more capable of getting into the enemy's face and being obnoxious with Shock Wave and Roll Out. One of my favorite things to do is turn to the side, start a Roll Out and turn into the enemy as you build up your full speed. Aim to hit one of the squishy mages or hunters in the back of the enemy's line to knock them sideways or forward (if you can manage it) and then follow up with a Shock Wave to keep them out of position. This gives your team an opportunity to either help you with the opponent you have taken out of position or start fighting the enemy while one of their primary damage dealers is distracted by a giant boulder. While this is a very fun tactic to perform, it puts you in a lot of danger, and you need to gauge how well your team follows up on your initiation. You are now a massive tank rolling around the battlefield. Keep yourself between your team and the enemies and bodyblock as much damage as you are able, keeping your squishier teammates healthy. Use your abilities often to keep the enemy on their toes, and don't forget to Roll Out in and say hello often. Still, remember that you will die if the entire enemy team gangs up on you, so make sure your team will be backing you up. You will be a thorn in the enemy's side when you save a teammate with Stone Shield and keep the enemy under CC just long enough for the rest of your team to deal some serious damage. So, that's what I have on Geb, God of the Earth! He is a very good guardian and has a lot of useful abilities for helping your team out in a fight! Please let me know thoughts and give me suggestions on anything to improve. If you think I'm missing anything, let me know! I'll do my best to keep making this guide better. Autobots, Roll Out! Thanks, Bran! It means a lot, you are one of the main ones that made me want to make a guide in the first place. And yeah, I think I need to work on how the Gameplay section looks, try to make it less of a wall. 105339 SpectralTangent Thanks, Bran! It means a lot, you are one of the main ones that made me want to make a guide in the first place. And yeah, I think I need to work on how the Gameplay section looks, try to make it less of a wall. OMG Spec's got a guide! Okay, I'm going home right now (from work), so can't read everything right now, but oh, I have expectations, I do. I expect this to be well thought out, and I expect I'll upvote. I did peek in the spoilers, and have one minor suggestion...especially for early game...it's just one big chunk of text. Possible to split them into a couple of paragraphs or something? It's looking good from what I can see, but in fairness will withhold vote until I actually read. Edit: Okay, read it all. Familiar feeling, yet unique. Very clean BB Coding, doesn't seem like your first guide at all. In particular, I like HOW you describe everything. Fairly concise, but informative with a loose, comfortable feeling. And your level of understanding is great for the short amount of time you've been playing. I still don't know some mechanics of the game or certain gods very well. Great job, if it wasn't understood above, +1. 105329 Branmuffin17 OMG Spec's got a guide! Okay, I'm going home right now (from work), so can't read everything right now, but oh, I have expectations, I do. I expect this to be well thought out, and I expect I'll upvote. I did peek in the spoilers, and have one minor suggestion...especially for early game...it's just one big chunk of text. Possible to split them into a couple of paragraphs or something? It's looking good from what I can see, but in fairness will withhold vote until I actually read. Edit: Okay, read it all. Familiar feeling, yet unique. Very clean BB Coding, doesn't seem like your first guide at all. In particular, I like HOW you describe everything. Fairly concise, but informative with a loose, comfortable feeling. And your level of understanding is great for the short amount of time you've been playing. I still don't know some mechanics of the game or certain gods very well. Great job, if it wasn't understood above, [color=#00ff00]+1[/color].